Live Webcast, Internet Only, and Internet Absentee Bidding! Please visit either John's Schedule or Rohn's Schedule to check on available dates or attend one of our featured auctions! We look forward to seeing you there! As active members of the National Auctioneers Association, OPEN BUCKLE AUCTION SERVICE is a complete Auction company, Specializing in all types of auctions and fundraiser events since 1981. 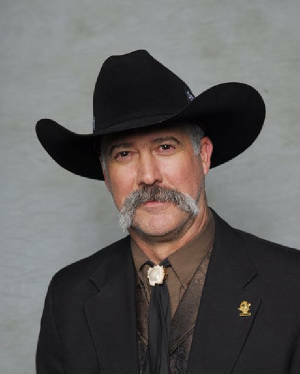 John Nelson is a member of The Idaho Association of Professional Auctioneers and the Washington Auctioneers Association, and holds Auctioneer Licenses in Washington state, North Carolina, South Carolina, Georgia, and Kentucky. 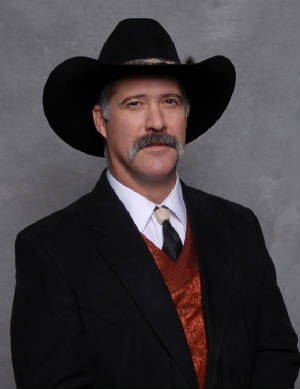 John and Rohn Nelson are both graduates of the prestigious Western College of Auctioneering in Billings Montana, and are professional auctioneers that are very clear, entertaining, easy to follow and understand. OPEN BUCKLE AUCTION SERVICE has conducted Auctions across the western United States and Alaska for over 35 years. Rocky Mountain Elk Foundations National Elk Camp Convention. We have also served as auction consultants to many benefit committees and various chapters of numerous wildlife conservation organizations. John and Rohn Nelson are professional Auctioneers. Your property and posessions are extremely valuable. OPEN BUCKLE AUCTION SERVICE appreciates and respects your family heirlooms, personal treasures and valued posessions. There is no substitute for experience, and we have been your trusted Auctioneers since 1981. OPEN BUCKLE AUCTION SERVICE is licensed and bonded, and has a list of references available for your convenience. There truly is no substitute for experience. Click on the NAA logo! We also offer a full AUCTION SUPPORT STAFF! * FUN! EXCITEMENT! ENERGY! ENTHUSIASM! Click here for GREAT AUCTION IDEAS and improve your benefit auction proceeds! Email us at: Open Buckle Auction Service We look forward to hearing from you! Please visit us often, as our webpage is frequently updated... Thanks!